From death into life with Jesus Christ’s death on the cross and resurrection. There is now victory, victory in Jesus! 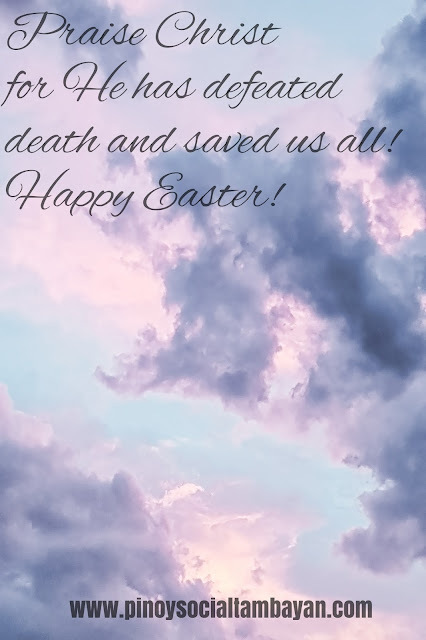 Praise God for he has defeated the wages of sin and saved us all from eternal death as long as we believe in His Son Jesus Christ as Our Lord and Savior. WISH. 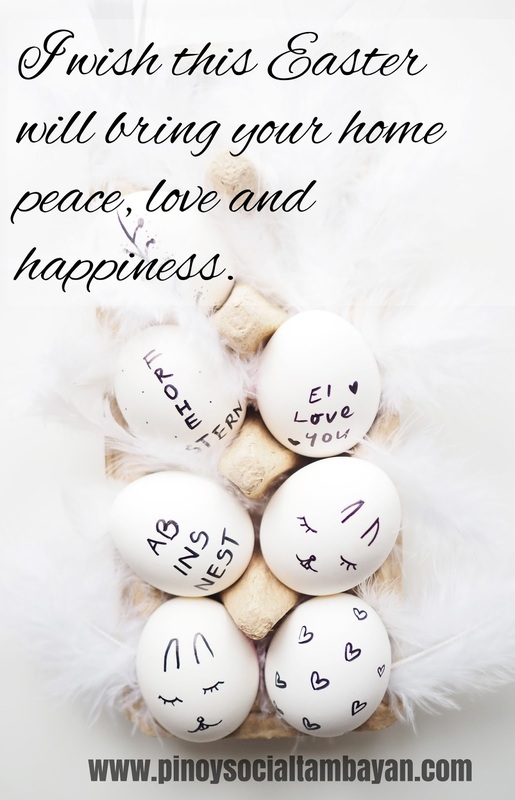 May this Easter bring your home peace, love, and happiness. These things will be attained if your home will seek God all the time. He is the only way to have a wonderful life that is full of hope, love, and happiness. Only through His Son Jesus Christ Our Lord and Savior. LIGHT. 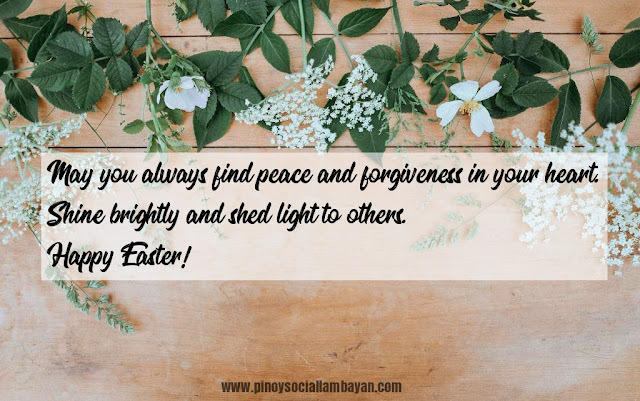 May this Easter be the start that you will try to shed light to others. That you may find peace and forgiveness in your heart. Whoever have caused you pain and have wronged you, may you forgive them wholeheartedly even in the case that they don’t feel sorry for what they have done. Let us reflect in our lives the love and forgiveness that God has extended to us. PRAISE HIM. God had defeated death and saved us from it through the life of Jesus Christ. God gave His Only Son Jesus Christ to save us from the wages of sin which is death and reconnect us to God. Through Jesus, we could now speak to God through prayers. And that ultimate sacrifice is a symbol of God’s unconditional and immeasurable love. Praise Him! For more Happy Easter Quotes, feel free to visit and follow our Official Facebook Page https://www.facebook.com/phquotestagalog/ and our Official Twitter Account @PinoyQuotes365 . For more Pinoy Quotes, Love Quotes, Jokes, and Hugot Lines visit us again here at https://www.pinoysocialtambayan.com/ and at our Facebook Page and Twitter Account.